I had hoped to find a way to connect a blog post this morning to football events over the week-end. The connections this year were not as clear as in previous years. So, the best I can do is--"If you're thinking about the New England Patriots for good or ill, think about about the Original Patriots!" And, I won't even limit that to the New England variety. Rather than digging into a full review today, I want to offer a notice of a book I'm working through. 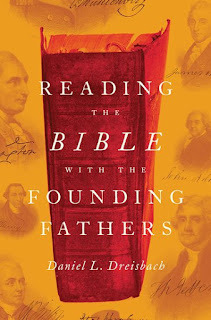 This past month I've enjoyed reading Daniel Dreisbach's Reading the Bible with the Founding Fathers. Although other books already exist on the subject, it's an effective measure of how significant the Bible was in public debate during the founding era that yet another interpretation is justified. Dreisbach is humble enough to delineate what he is not claiming while still making broad claims for the Biblical text influencing the discussion around the American Revolution and the new nation. In this claim, Dreisbach puts a lot of emphasis on the concept of "discourse," with biblical themes pervading discussions, often on multiple sides of an issue (as for example the debate between Patriots and Loyalists). In this, the author places much stress on the publicly Protestant nature of the colonies. Because Protestantism emphasized the Scriptures, it is no surprise that the cadences and phrases of Scripture worked their way into public speech and writing--often without attribution. 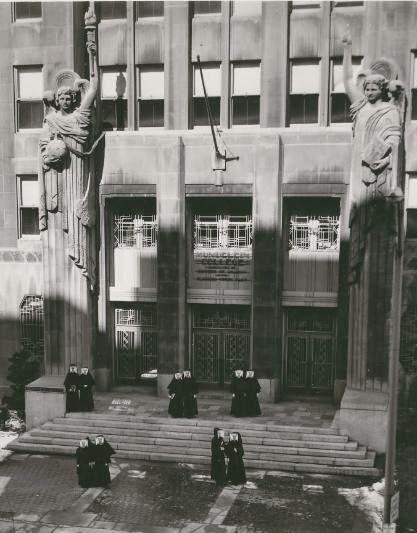 In this story, Dreisbach offers an "interdisciplinary study" that ties together "history, religion, biblical literature, law, and political thought" (9). One positive contribution Dreisbach makes early on is to distinguish between the array of uses to which Americans put the Scriptures. He creates a typology of uses, starting with Scriptural quotations to enrich a common language and vocabulary and to enhance the power of rhetoric through connection with an authoritative text. More substantively, he finds the founding generation using the Scriptures to define normative standards for evaluating public life, illuminating the role of Providence among nations, and gaining insights into the character and designs of God's interaction with humans. This framework can be helpful to anyone encountering Revolutionary rhetoric. Rather than being comprehensive in the treatment of the Bible, Dreisbach spends significant time with a few passages that were used often and that illustrate significant themes. These passages include calls for liberty from Great Britain (Galatians 5:1), pictures of robust American liberty (Micah 4:4), and calls for righteous behavior for both the people (Micah 6:8, Proverbs 14:34) and the rulers (Proverbs 29:2). In his treatment, Dreisbach is often evaluative. He is less convinced by the attempt of Patriots to align political independence with the spiritual liberty spoken of in the New Testament. At the same time, he finds many of the calls for just relations in society to be appropriate from a contextualized reading of Scripture. Put another way, how well did the Americans use Scripture? Dreisbach's answer is that it depends on who is using it and how they are deploying it. As mentioned, this is not the first book to take up the place of Scripture in the American Revolution. The two other books most closely related are James Byrd's Sacred Scripture, Sacred War and Mark Noll's In the Beginning was the Word (reviewed here and here). I would encourage those interested to read all three books. As an initial suggestion, I would observe that Dreisbach is more qualitative in his approach to the uses of the Scriptures as opposed to Byrd's quantitative approach. Dreisbach is also more open than Noll to the argument that some of the uses of Scripture by American patriots were legitimate and exegetically accurate. That said, much value could be gained by a comparison of the three studies. So, for anyone looking to move past the NFL season with a good book on religion in the era of the American Revolution, Dreisbach's book could be just the ticket.